Hibernation is enabled but hidden by default on the new Metro style power menu. 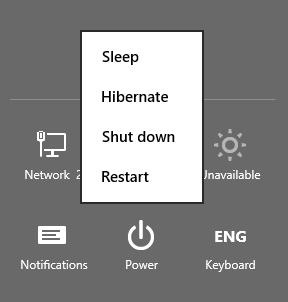 You can hibernate at command prompt by typing in shutdown.exe -h but sometimes clicking a button is much easier and faster. This article will help you display the Hibernate option next to the Sleep, Shutdown and Restart options.